LG has announced something quite cool, especially for fans of 3D, or users of the LG Optimus 3D. They have developed an android app that has the ability to convert a users 2D games intro 3D! It does seem like developers have to code the ability into their game though, so don't go thinking you can play every game you own in 3D. The tool LG are providing to developers should make it easy though, so hopefully there will be a decent number of top games available. LG are promising 50 games will be available to use with the tool by the end of October, with another 50 added by the end of the year. Hopefully this takes off for those of you with 3D LG Phones. LGâ€™S 3D GAME CONVERTER OPENS UP A WHOLE NEW REALM OF POSSIBILITIES FOR PORTABLE ENTERTAINMENT Worldâ€™s First 3D Game Conversion Engine for Smartphones to be Unveiled by LG at IFA 2011 SEOUL, Aug. 29, 2011 -â€“ At IFA 2011 in Berlin next week, LG Electronics (LG) will demonstrate the worldâ€™s first OpenGL-based 2D to 3D game conversion engine available on a smartphone platform. A result of LGâ€™s efforts to expand the quantity of 3D content and widen consumer adoption of 3D devices as gaming platforms, the 3D Game Converter is expected to open more doors to 3D gaming content. The 3D Game Converter will be included in the first Maintenance Release (MR) of the LG Optimus 3D smartphone starting this October, the exact rollout date determined by each mobile carrier. 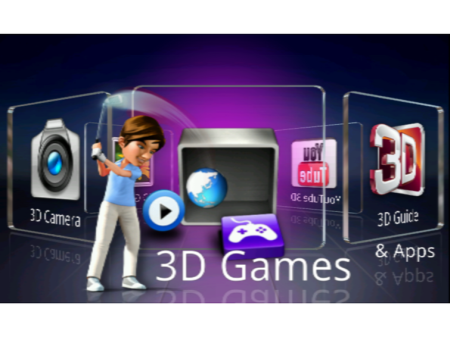 The 3D Game Converter is expected to benefit both game developers and smartphone users alike. Small and medium-sized game companies will be able to offer 3D versions of their existing 2D games without major investments in human resources, cost or time. Meanwhile, smartphone users will reap the benefits of being able to convert their 2D games into 3D anytime, anywhere free of charge. â€œOur Game Converter is a major breakthrough for this industry,â€ said Dr. Jong-seok Park, President and CEO of LG Electronics Mobile Communications Company. â€œMobile gaming is a huge trend on the cusp of massive growth and LG is determined to be the de facto leader in this space.â€ Once the 3D Game Converter is installed, users can enjoy 3D on previously purchased 2D games1 simply by activating the 3D Game Converter. Games can be switched back to 2D just as easily. When a user opens a 2D mobile game through the 3D Game Converter, the program automatically scans the game to see if it is listed among the 2D mobile games optimized for 3D conversion. If the game has been optimized, it will be converted into 3D using default visual settings. Unlisted OpenGL-based 2D games can still be converted to 3D by adjusting the settings manually. Optimized settings for approximately 50 2D games will be available by October, with 50 more to be added by yearâ€™s end. â€œFar from being a gimmick, LGâ€™s 3D Game Converter automatically recognizes the depth information based on the location of each object and separates the 2D graphic images for each eye,â€ explained Dr. Henry Nho, LGâ€™s 3D Technology Evangelist. â€œUsing the existing depth information, the 3D Game Converter generates two different images â€” one for the foreground and one for the background. It then uses a thin film called Parallax Barrier on the display to show the left image to the left eye and the right image to the right eye, creating an illusion of visual depth.â€ LG has filed several patent licenses in major countries such as the U.K., Germany and the U.S. for technologies embedded in the 2D-3D game conversion feature. Visitors attending IFA 2011 can experience LG Optimus 3D up close in Hall 11.2 of Messe Berlin. 1 OpenGL-based and landscape mode only.